Integrity is a matter of a person’s word – nothing more and nothing less. Michael Jensen explains. There is some confusion between the terms integrity, morality and ethics. How do you differentiate them? These three phenomena are widely understood to provide standards of ‘correct’ behaviour, but people generally get them mixed up. The primary differentiation I make between them is to distinguish integrity from morality and ethics. Integrity is a purely positive proposition. It has nothing to do with good vs. bad. Think for a moment about the Law of Gravity: there is no such thing as ‘good’ or ‘bad’ gravity; like integrity, it just ‘is’. Morality and ethics, on the other hand, are normative concepts in that they deal with matters of good or bad, right vs. wrong. Morality refers to a society’s standards of right and wrong behaviour for individuals and groups within that society, while ethics refers to the normative set of values that apply to all members of a group or organization. Thus, both morality and ethics relate to desirable vs. undesirable behaviour. You define integrity as “what it takes for a person to be whole and complete.” What does this look like in daily life? An individual is whole and complete when their word is whole and complete, and their word is whole and complete when they honour their word. We can honour our word in one of two ways: first, by keeping our word, and on time as promised; or second, as soon as we know that we won’t keep our word, we inform all parties involved and clean up any mess that we’ve caused in their lives. When we do this, we are honouring our word despite having not kept it, and we have maintained our integrity. If you are serious about being a person of integrity, you will think very carefully before giving your word to anyone or anything, and you will never give your word to two or more things that are mutually inconsistent. As they should, many people focus on the importance of keeping their word; however, if one does not consider how to maintain integrity when one cannot keep one’s word, this is sure to lead to out-of-integrity behaviour at some point. If you’re up to anything important in life, you will not always be able to keep your word, and that’s alright, but if you are a person of integrity, you will always honour your word. Integrity is important to individuals, groups, organizations and society because it creates workability. Without integrity, the workability of any object, system, person, group or organization declines; and as workability declines, the opportunity for performance declines. Therefore, integrity is a necessary condition for maximum performance. As an added benefit, honouring one’s word is also an actionable pathway to being trusted by others. You believe that a key aspect of integrity involves the relationship one has with oneself. Please explain the importance of this. One’s word to one’s self is a critical part of integrity. By not being serious when we give our word to ourselves, we forfeit the opportunity to maintain our integrity by honouring our word to ourselves. For example, think of occasions when the issue of self-discipline comes up, and the ease with which we often dismiss it. It may be something trivial like, ‘I’m going to work out tomorrow at nine o’clock’, or something serious like, ‘I will never cheat on my wife’. By failing to honour our word to ourselves, we undermine ourselves as persons of integrity. If we aren’t serious about this aspect of integrity, it will create ‘unworkability’ in our life: we will appear to others as inconsistent, unreliable or unpredictable. You simply cannot be a whole and complete person if you don’t honour your word to yourself. Unfortunately, people almost universally ascribe the mess in their lives resulting from out-of-integrity behaviour to some justification or rationalization. Integrity: A state or condition of being whole, complete, unbroken, unimpaired, sound, in perfect condition. Ethics: In a given group, ethics is the agreed upon standards of what is desirable and undesirable; of right and wrong conduct; of what is considered by that group as good and bad behaviour of a person, group or entity that is a member of the group, and may include defined bases for discipline, including exclusion. Your Ontological Law of Integrity says that integrity has a critical effect on business: increased performance. How does integrity translate into performance? You believe that the effects of out-of-integrity behaviour are significantly more damaging than most people believe. Please discuss. People tend to view integrity as a virtue that is ‘nice to have’, but not as something that is directly related to performance. They fail to link the difficulties in their lives or in their organizations to outof-integrity behaviour. But the increases in performance that are possible by focusing on integrity are huge: I’m not talking about a 10 per cent increase in output or productivity – it’s more like 100 to 500 per cent. At my organization [the Social Science Research Network (SSRN)] after a year and a half of implementing these notions, our CEO Greg Gordon will tell you that we’ve seen in excess of a 300 per cent increase in output, with essentially no increase in inputs. And our people are happier. Objects and systems can also have integrity. Please explain. Integrity for objects and systems is a matter of the components that make up the object or system and the relationship between those components. Three critical aspects are their design, the implementation of the design and the use to which the object or system is put. If an object or system is to have maximum opportunity for performance, it must have integrity in each of these aspects. The design must be capable of fulfilling the purpose for which it was designed – for example, to provide transportation or flotation. In addition, to have integrity the implementation of the design must be whole and complete; and finally the use of the object or system must have integrity. If any of these three aspects is not present, the object or system will be ‘out-of-integrity’, its workability will be compromised and its opportunity for performance will be reduced. For example, if a 300-pound man attempts to use a life preserver designed for a 50-pound child, he is in big trouble. This distinction – between the integrity of design, the integrity of implementation and the integrity of use – has proven to be of enormous value to me and my colleagues in running SSRN. Of course, any large computer system is going to have issues, and thinking about the source of problems as due to potential failures of integrity of design, integrity of implementation or integrity of use has resulted in enormous increases in productivity for us. What are the costs of dealing with an object, person or entity that is out-of-integrity? Consider the experience of dealing with an object that lacks integrity, such as a car. When one or more of its components is missing or malfunctioning, it becomes unreliable and unpredictable, and it creates those same characteristics in our lives: the car fails in traffic; we inadvertently create a traffic jam; we are late for our appointment; and we disappoint our colleagues. In effect, the out-of-integrity car has created a lack of integrity in our life, with all sorts of fallout and repercussions that reduce workability. The same thing is true of our associations with persons, groups or organizations that are out-of-integrity. These effects generally go unrecognized, but they are significant. 1. What you said: whatever you have said you will do or will not do, and in the case of do, doing it on time. 2. What you know: whatever you know to do or know not to do, and in the case of do, doing it as you know it is meant to be done and doing it on time, unless you have explicitly said to the contrary. 3. What is expected: whatever you are expected to do or not do (even when not explicitly expressed), and in the case of do, doing it on time, unless you have explicitly said to the contrary. 4. What you say is so: whenever you have given your word to others as to the existence of some thing or some state of the world, your word includes being willing to be held accountable that the others would find your evidence for what you have asserted. 5. What you say you stand for: What you stand for, whether expressed in the form of a declaration made to one or more people, or even to yourself, as well as what you hold yourself out to others as standing for (formally declared or not), is a part of your word. b) one is willing to bear the costs of refusing to conform to these standards. How does ‘cost-benefit analysis’ affect integrity? This is a great failure of the curriculum of every business school I know: we teach our students the importance of conducting a cost/benefit analysis in everything they do. In most cases, this is useful – but not when it comes to behaving with integrity. In fact, treating integrity (i.e. honouring your word) as a matter of cost/benefit analysis virtually guarantees that you will not be a person of integrity. When not keeping my word, if I apply a cost/benefit analysis to honouring my word, I am either out-ofintegrity to start with – because I have not stated the cost/benefit contingency that is in fact part of my word when I give it, or to have integrity I must say something like the following: “I will honour my word when it comes time to do so if the costs of doing so are less than the benefits.” Such a statement, while technically leaving me with integrity, is unlikely to engender trust. Indeed, I have just told you that my word means nothing. If I had one recommendation for improvement to the curriculum of every business school, it would be to make it very clear to students that cost/benefit analysis is very important almost everywhere in life – but not with respect to honouring one’s word. In my view, this is a major root cause of the current economic crisis. 1. It is whole and complete with respect to its word. This includes that nothing is hidden, no deception, no untruths, no violation of contracts or property rights, etc. Externally, between the organization and those it deals with. This includes what is said by or on behalf of the organization to its members as well as outsiders. Trust in the business community has plummeted in recent months. What has to happen for it to be restored? Out-of-integrity behaviour has been pervasive, both on an organizational and an individual basis. Recall that the integrity of an object or system depends on the integrity of the design of that object or system, the integrity of the implementation of that design and the integrity of the use of that object or system. Looking at the subprime mortgage crisis, each element of the system evolved in a way that left it out-of-integrity: the system ended up such that people were rewarded for creating and selling mortgages and mortgage-backed securities, but not mortgages and mortgage-backed securities that would be paid. Obviously such a system lacked integrity, and we are paying a very steep price. Moreover, the politics of the situation is now encouraging homeowners (who gave their word to paying back the money they borrowed to purchase their homes) that it is OK to quit paying one’s mortgage in the case where the homeowner is ‘under water’ – that is, where the value of the home is now less than the mortgage on the home. 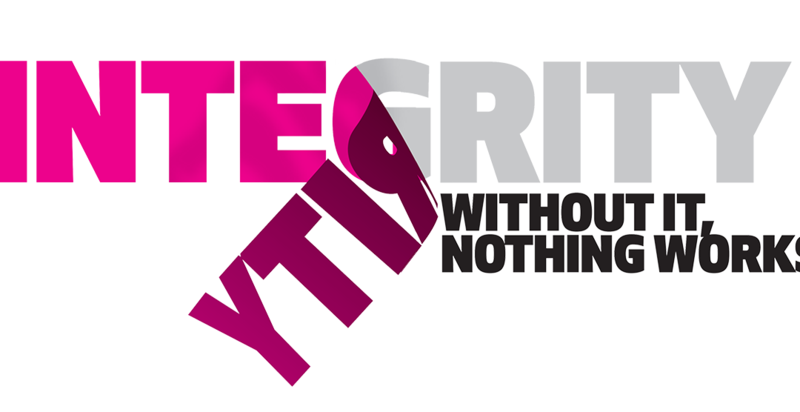 For most people and organizations, integrity exists as a virtue rather than as a necessary condition for performance. When held as a virtue rather than as a factor of production, integrity is easily sacrificed when it appears that a person or organization must do so to succeed. For many people, virtue is valued only to the degree that it engenders the admiration of others, and as such it is easily sacrificed especially when it would not be noticed or can be rationalized. Sacrificing integrity as a virtue seems no different than sacrificing courteousness, or new sinks in the men’s room. People are mostly unaware that they have not kept their word. All they see is the ‘reason’, rationalization or excuse for not keeping their word. In fact, people systematically deceive themselves about who they have been and what they have done. As Chris Argyris concludes: “Put simply, people consistently act inconsistently, unaware of the contradiction between their espoused theory and their theory-inuse, between the way they think they are acting and the way they really act.” Because people cannot see their out-of-integrity behaviour, it is impossible for them to see the cause of the unworkability in their lives and organizations – the direct result of their own violations of the Law of Integrity. The belief that integrity is keeping one’s word – period – leaves no way to maintain integrity when this is not possible, or when it is inappropriate, or when one simply chooses not to keep one’s word. This leads to concealing not keeping one’s word, which adds to the veil of invisibility about the impact of violations of the Law of Integrity. When maintaining your integrity (i.e., acknowledging that you are not going to keep your word and cleaning up the mess that results) appears to you as a threat to be avoided (like it was when you were a child) rather than simply a challenge to be dealt with, you will find it difficult to maintain your integrity. When not keeping their word, most people choose the apparent short-term gain of hiding that they will not keep their word. Thus out of fear we are blinded to (and therefore mistakenly forfeit) the power and respect that accrues from acknowledging that one will not keep one’s word or that one has not kept one’s word. This leads people to make up false causes and unfounded rationalizations as the source(s) of failure, which in turn conceals the violations of the Law of Integrity as the source of the reduction of the opportunity for performance that results in failure. When giving their word, most people do not consider fully what it will take to keep that word. That is, people do not do a cost/benefit analysis on giving their word. In effect, when giving their word, most people are merely sincere (well-meaning) or placating someone, and don’t even think about what it will take to keep their word. Simply put, this failure to do a cost/benefit analysis on giving one’s word is irresponsible. Irresponsible giving of one’s word is a major source of the mess left in the lives of people and organizations. People generally do not see the giving of their word as: “I am going to make this happen,” but if you are not doing this you will be out-of-integrity Generally people give their word intending to keep it. That is, they are merely sincere. If anything makes it difficult to deliver, then they provide reasons instead of results. Conversely, people almost universally apply cost/benefit analysis to honouring their word. Treating integrity as a matter of cost/ benefit analysis guarantees that you will not be a person of integrity. Putting the system back in order is deceptively simple: people have to start honouring their word. If they do, trust will materialize almost instantly. The interesting thing about it is that you actually create trust more rapidly if you fail to keep your word but you honour it, because this is always so surprising to people. If you’re straight with people – “I told you that I’d have this report done a month from now, but I know now that I’m not going to be able to and I apologize, but I’ll get it to you in a month and a half. Let’s have a talk about what I can do to clean up the mess I have caused for you.” If I then get the report to you in a month and a half, our relationship will be strengthened; but if I simply don’t keep my original word, trust will be lost. There are great examples of service failures that have turned out positive. In one study by Bitner, Booms and Tetrault [published in The Journal of Marketing], a husband and wife had a reservation for a hotel room. They arrived at the hotel, it was completely filled through no fault of the hotel – people just hadn’t checked out as planned. Unfortunately, the front desk staff wasn’t able to find the couple another room in the city, so they failed to keep their word. But they did honour it: they took a small dining room in the hotel, put in some cots and pillows and bedding and made a bedroom out of it. In the end, the family rated this as one of their outstanding service experiences. Honouring one’s word is truly an amazing phenomenon, and my colleagues and I are eager for people to implement it in their lives and in their organizations. As with the Law of Gravity, the end result is guaranteed. Interview: by Karen Christensen, from Rotman: The Magazine of the Rotman School of Management, Fall 2009, pp. 16-20.